We all know that Digital marketing is all about practical performance and application. So, it was a drawback of the training institute. As projects and live assignment portrays a major role in every field. In this field also I was expecting a live project but they did not offer any such project. Exposure is the whole sole way to test your knowledge and implement the theory into practical work. But the major drawback was in offering opportunities to students. Digital marketing is a vast subject. It needs time and concentration. The training institute offers flexible hours for students. The classes are for two hours. Two hours are not at all enough for a subject like digital marketing. These timings are becoming a hindrance in the path of knowledge. It’s the whole sole responsibility of a training institute to provide internship opportunities to students and offer them good placements. But the institute is not at all taking any steps for the benefit of students related to the digital marketing field. 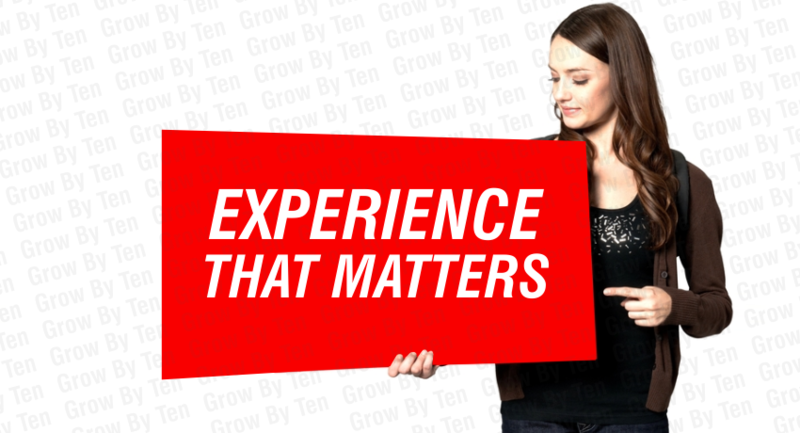 Currently, I am doing an internship in GrowbyTen and they offer a great amount of practical work. The enjoyable experiences didn’t come without their challenges. I am going outside my comfort zone at times and trying things I’ve never done before. I am participating in an actual client meeting intimidating me at first, but it is turning out to be my favorite experience of life. In this firm, I am working as an employee. Here, I found it very easy to work with those around me – and the open floor office plan made those interactions fairly frequent. Group lunches, birthday doughnuts, and cookouts keep the marketing team close and gave me an opportunity to get to know my co-workers in a better way. In the end, I would like to suggest that it is very important to research and choose better for you. Don’t just jump into things! Please make a full plan and then research your specific digital marketing organization. This is my experience which taught me a basic mantra of life. Research more instead of regretting in the last. If you have some good or bad experiences related to this field then mention in the comment section below.